Why live in an ordinary apartment community when you can experience the splendor of Villa Medici every day? 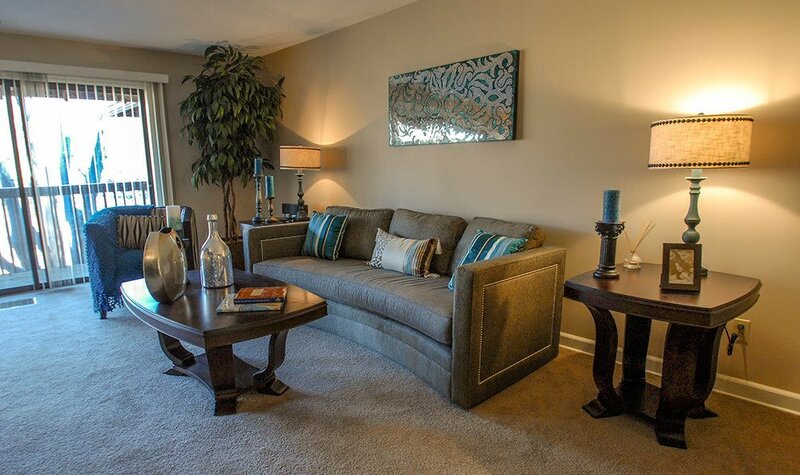 We provide spacious floor plans for rent in Overland Park, KS, at the intersection of 95th and Nall. Our immaculate one and two bedroom apartments and beautiful two and three bedroom townhomes are designed to evoke the architecture and feel of the famed Renaissance estate that lends its name to our community. At Villa Medici, we offer resort-style amenities and features to enhance your comfort. Every apartment and townhome features a private patio or balcony for you to take in the expansive views. When the summer heat gets to be too much, you can escape to the air-conditioned confines of your home, or you can venture down to our heated swimming pool for a refreshing dip. Walk-in closets add to the feeling of luxury. Our garden-style apartments are luxurious, yet affordable. We offer a number of different floor plans for you to choose from. Our units range in size from 400 square feet to 2,000 square feet. We offer one, two and three bedroom units. The master bedroom in each apartment or townhome features an ensuite bathroom. Select units have been upgraded to include hardwood floors and stainless steel appliances. For more information on the floor plans available at Villa Medici, contact our leasing office today and schedule a tour.